Blessings will come as we strive to fulfill our individual responsibility to learn and love the restored gospel of Jesus Christ. I pray for and invite the help of the Holy Ghost as we consider together several basic implications of these ongoing adjustments in the Lord’s restored Church. 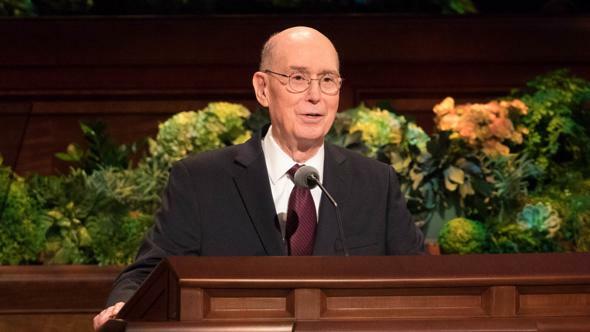 Elder Craig C. Christensen and I were companions recently in a priesthood leadership conference, and he used two simple questions to emphasize the principle of becoming home centered and Church supported. 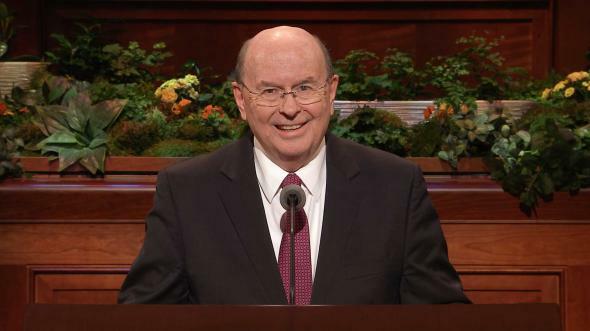 He suggested that instead of returning to our homes after Church meetings on Sunday and asking, “What did you learn about the Savior and His gospel today at church?” we should ask in our Church meetings, “What did you learn about the Savior and His gospel this week in your home?” Proper Sabbath-day observance, the new curriculum, and the adjusted meeting schedule all help us to learn the gospel both in our homes and at church. 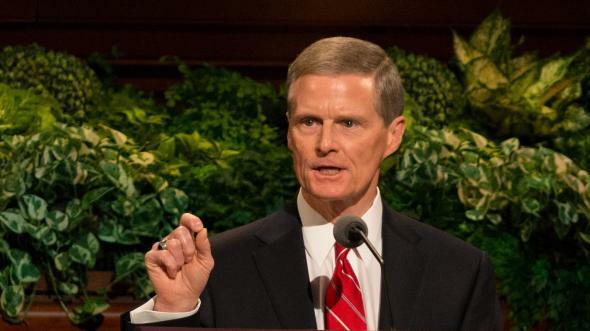 Each member of The Church of Jesus Christ of Latter-day Saints has an individual responsibility to learn and live the Lord’s teachings and to receive by proper authority the ordinances of salvation and exaltation. 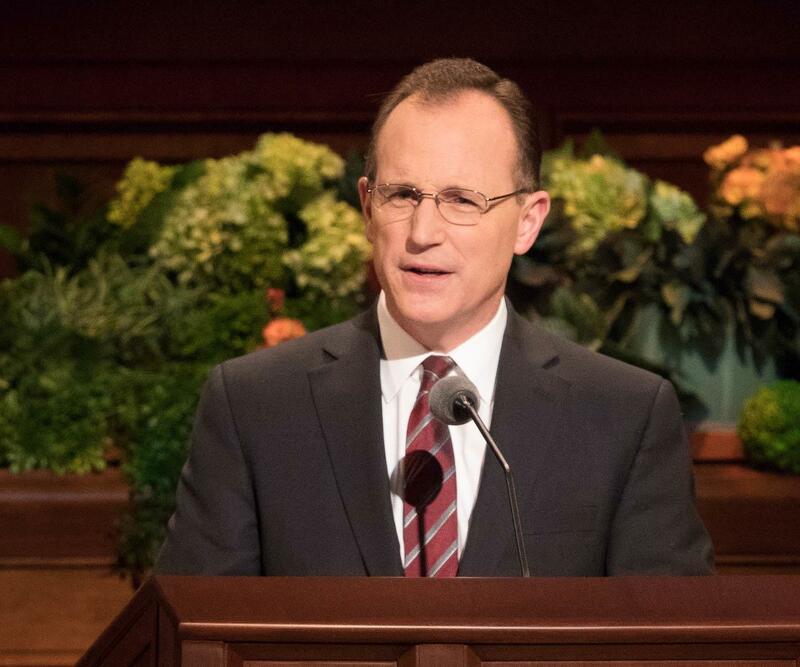 We should not expect the Church as an organization to teach or tell us everything we need to know and do to become devoted disciples and endure valiantly to the end.2 Rather, our personal responsibility is to learn what we should learn, to live as we know we should live, and to become who the Master would have us become. And our homes are the ultimate setting for learning, living, and becoming. As a child, Joseph Smith learned of God from his family. His efforts to discover God’s will for him caused Joseph to search for the truth among many different Christian denominations, ponder diligently the scriptures, and pray sincerely to God. 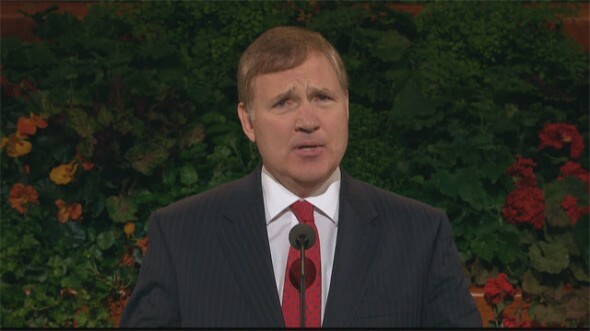 As young Joseph Smith returned to his home from the Sacred Grove immediately after the appearance of the Father and the Son, he spoke first with his mother. As he “leaned up to the fireplace, [his] mother inquired what the matter was. [Joseph] replied, ‘Never mind, all is well—I am well enough off.’ [He] then said to [his] mother, ‘I have learned for myself.’”3 Joseph’s experience provides a powerful pattern of learning that each of us should emulate. We too need to learn for ourselves. “Parents have a sacred duty to rear their children in love and righteousness.”6 Inspired Church leaders, teachers, and activities help individual and family efforts to grow spiritually. And though we all need help pressing forward on the covenant path, the ultimate responsibility for developing spiritual strength and stamina rests upon each one of us. Recall how Nephi, son of the prophet Lehi, desired to see, hear, and know for himself by the power of the Holy Ghost the things his father had learned in the vision of the tree of life. Nephi clearly needed and was blessed in his youth by the example and teachings of his “goodly parents.”7 Yet, just like Joseph Smith, he yearned to learn and know for himself. If all you or I know about Jesus Christ and His restored gospel is what other people teach or tell us, then the foundation of our testimony of Him and His glorious latter-day work is built upon sand.8 We cannot rely exclusively upon or borrow gospel light and knowledge from other people—even those whom we love and trust. 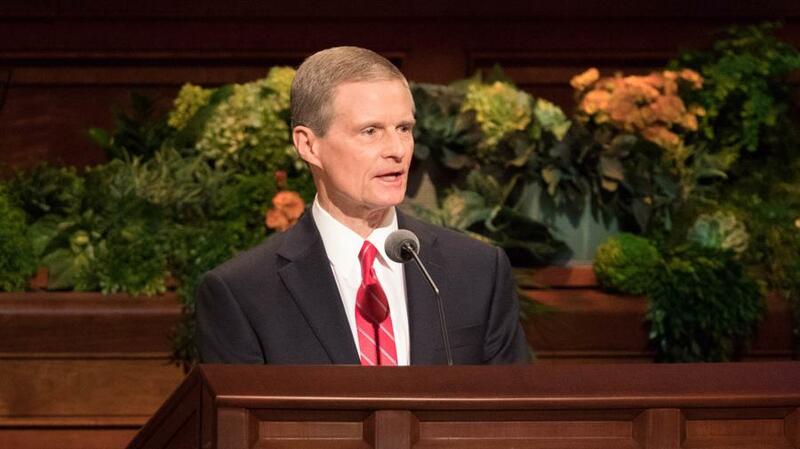 Enabling the accomplishment of this grand spiritual objective for individuals and families is one of the fundamental reasons the programs and activities of The Church of Jesus Christ of Latter-day Saints are becoming more home centered and Church supported in this specific season of the dispensation of the fulness of times. Let me summarize a few basic implications of gospel learning becoming increasingly home centered and Church supported. The ultimate missionary training center is in our homes; secondary missionary training centers are located in Provo, Manila, Mexico City, and in other locations. Our most instructive Sunday School classes should be our individual and family study in our places of residence; helpful but secondary Sunday School classes are held in our meetinghouses. Family history centers now are in our homes. Supplemental support for our family history research work also is available in our meetinghouses. Vital temple preparation classes occur in our homes; important but secondary temple preparation classes also may be conducted periodically in our meetinghouses. Making our homes sanctuaries wherein we can “stand in holy places”11 is essential in these latter days. And as important as home-centered and Church-supported learning is for our spiritual strength and protection today, it will be even more vital in the future. Please consider how the principle of “home centered and Church supported” applies to our individual preparation and worthiness to receive sacred ordinances and covenants in the house of the Lord. Indeed, temple preparation is most effective in our homes. But many Church members are unsure about what appropriately can and cannot be said regarding the temple experience outside of the temple. 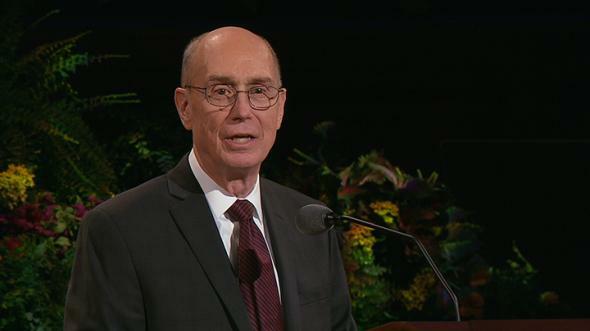 “The temple is a sacred place, and the ordinances in the temple are of a sacred character. Because of its sacredness we are sometimes reluctant to say anything about the temple to our children and grandchildren. 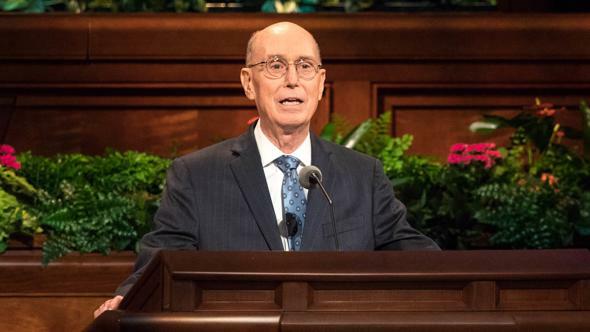 “As a consequence, many do not develop a real desire to go to the temple, or when they go there, they do so without much background to prepare them for the obligations and covenants they enter into. 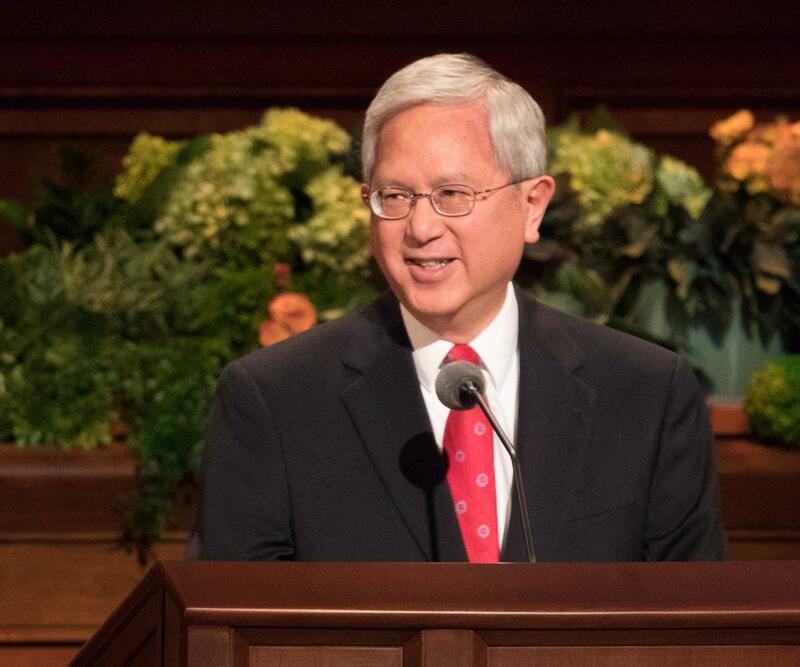 Two basic guidelines can help us achieve the proper understanding emphasized by President Benson. Guideline #1. Because we love the Lord, we always should speak about His holy house with reverence. We should not disclose or describe the special symbols associated with the covenants we receive in sacred temple ceremonies. 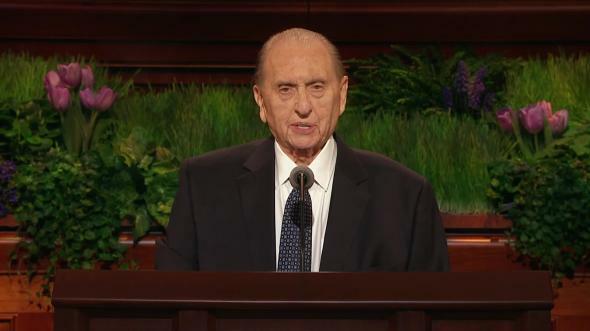 Neither should we discuss the holy information that we specifically promise in the temple not to reveal. Guideline #2. The temple is the house of the Lord. Everything in the temple points us to our Savior, Jesus Christ. We may discuss the basic purposes of and the doctrine and principles associated with temple ordinances and covenants. 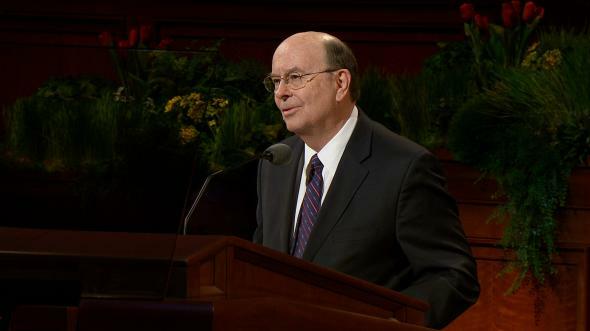 Across the generations, from the Prophet Joseph Smith to President Russell M. Nelson, the doctrinal purposes of temple ordinances and covenants have been taught extensively by Church leaders.14 A rich reservoir of resources exists in print, audio, video, and other formats to help us learn about initiatory ordinances, endowments, marriages, and other sealing ordinances.15 Information also is available about following the Savior by receiving and honoring covenants to keep the law of obedience, the law of sacrifice, the law of the gospel, the law of chastity, and the law of consecration.16 All Church members should become familiar with the excellent materials available at temples.ChurchofJesusChrist.org. As we strive to walk in the meekness of the Lord’s Spirit,19 we will be blessed to understand and achieve in our homes the necessary balance between what is and what is not appropriate to discuss about sacred temple ordinances and covenants. Yes, you can do this! I promise that enabling blessings will flow into and be evident in your life. Doors will open. The light will shine. Your capacity will be increased to persevere diligently and patiently. I joyfully witness that compensating blessings will come as we strive to fulfill our individual responsibility to learn and love the restored gospel of Jesus Christ. We truly can “be prepared to obtain every needful thing.”20 I so promise and testify in the sacred name of the Lord Jesus Christ, amen. 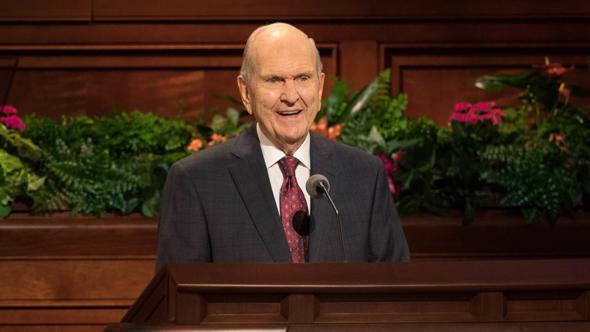 Russell M. Nelson, in “Latter-day Saint Prophet, Wife and Apostle Share Insights of Global Ministry,” Newsroom, Oct. 30, 2018, newsroom.ChurchofJesusChrist.org. See Doctrine and Covenants 121:29. See Matthew 7:24–27; 3 Nephi 14:24–27; 18:13. Teachings: Joseph Smith, 419; emphasis added. Teachings of Presidents of the Church: Ezra Taft Benson (2014), 174; emphasis added; see also Ezra Taft Benson, “What I Hope You Will Teach Your Children about the Temple,” Ensign, Aug. 1985, 8. 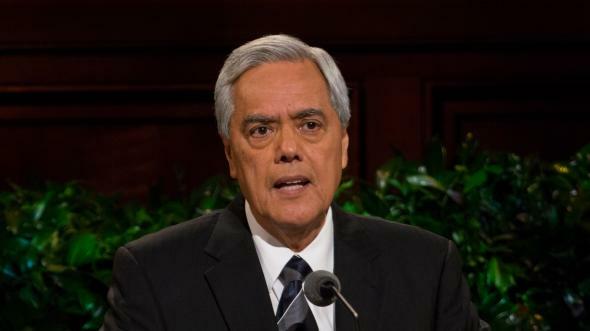 Teachings of Presidents of the Church: Howard W. Hunter (2015), 184. See, for example, James E. Talmage, The House of the Lord (1912), 99–101. 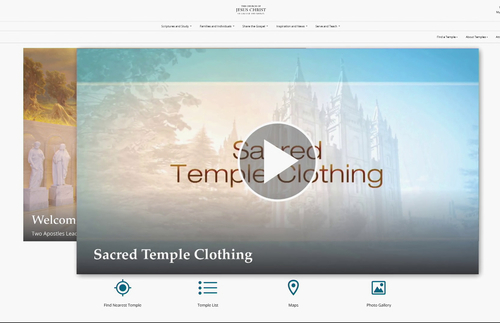 See James E. Talmage, The House of the Lord, 89–109; Russell M. Nelson, “Personal Preparation for Temple Blessings,” Ensign, May 2001, 32–34; Liahona, July 2001, 37–39; Boyd K. Packer, The Holy Temple (1980), 153–55. See The Teachings of Ezra Taft Benson (1988), 121; James E. Talmage, The House of the Lord, 100; Preparing to Enter the Holy Temple (pamphlet, 2002). 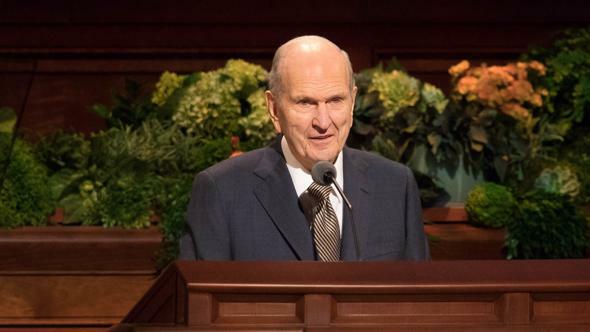 Russell M. Nelson, “Prepare for the Blessings of the Temple,” Ensign or Liahona, Oct. 2010, 47. 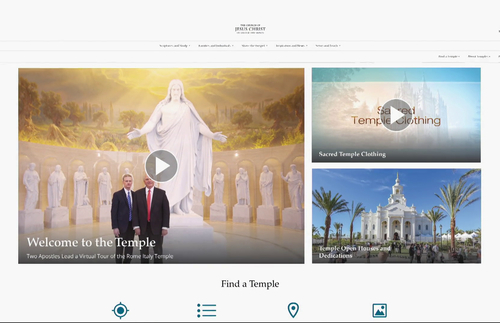 For example, watch a video tour of the Rome Italy Temple, or study prophetic teachings on temples (see temples.ChurchofJesusChrist.org). See Doctrine and Covenants 19:23.